Experience Red Roof PLUS+. Adding more WOW to your stay! Discover an enhanced experience with all new rooms and our most requested higher-end amenities. A completely remodeled and upgraded stay. Red Roof PLUS+ Columbus – The Ohio State University is 100% Smoke-Free with Newly Renovated Rooms. THE location for The Ohio State University - the hotel is within walking distance to the Schottenstein Center/Value City Arena, OSU Football Stadium, St. John’s Arena, and all North Campus athletic facilities. 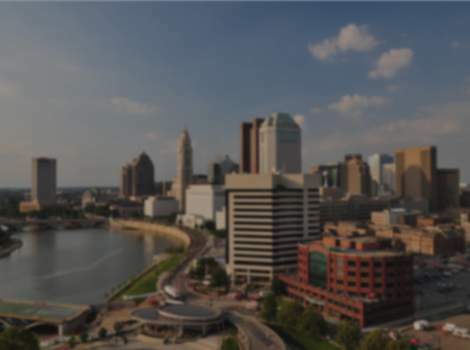 Red Roof PLUS+ Columbus - The Ohio State University is just 5 minutes from downtown Columbus and all areas of OSU. The hotel is located within 2 miles from Ohio State Fairgrounds and Expo Center, Crew Stadium, The Wexner Center for the Arts, and The Newport Music Hall, Columbus Riverside Methodist Hospital and 4 miles from The Ohio State University Wexner Medical Center and the Arthur G. James Cancer Center, and just one block from the University City Center and its many restaurants, bars, shopping and grocery. Other nearby attractions include Hollywood Casino Columbus, AMC Theater, or the city's Short North District and Nationwide Arena. Also enjoy many parks and outdoor attractions such as the Chadwick Arboretum and Learning Gardens and the Schermeier Olentangy River Wetlands area. Our caring and friendly staff members are ready to welcome you. When you check in, check out the fantastic new amenities in our NextGen ® design rooms! The rooms at this 100% Smoke-Free inn feature a stylish, boutique design with all new furniture, spa-inspired bathrooms with modern vessel sinks, new comfy Rest Suite beds by Serta, plush high-end bedding, modern design flooring, comfortable new seating and a large, flat-screen TV. This Red Roof PLUS+ hotel also features Premium Rooms with breakfast and a snack ready in your room! All rooms offer free WiFi. Microwave & refrigerator units are available in the Superior, Deluxe and Premium room types. On Command Video with a selection of free TV channels, pay-to-view premium channels, movies, and music is also available. One well-behaved family pet per room is welcome.